It is dark outside when the alarm goes off, not at all a time to wake up. The usual 8 hours and 41 minutes of daylight we can expect on a Winter Solstice is never enough to keep us going, even on a relatively warm and sometimes even bright year like this. The icy Winter of 2017 is just as dark as any other. The Solstice itself, that magic moment when the North Pole starts to wobble back towards the sun, comes on Thursday, 21 December at exactly 16:28 UTC/GMT (10:28 CST). This is the end of the year traditionally. The new year should begin at Solstice, as is the ancient European tradition, just as the day begins at midnight. The only reason it doesn’t is that the Romans used a calendar, the Julian, that was off a bit by the time Pope Gregory XIII got around to revising it and everything moved ten days. No matter. The world since the Renaissance has increasingly been what we decree, not what we see. For many people, Solstice is a day to make the final preparations for the next 10 days. A lot of people take off their jobs straight through to the New Year. Most people in Minnesota snuggle down safely this entire time, waiting for the time of work and struggle to begin again. This isn’t a time to do anything except figure out just how we want to delight each other and our children. There is a certain magic in the darkness. Traditional stories about the dark include wolves just outside the door waiting to prey on unsuspecting innocents who dare to stray out into it. This time of year, however, nearly all Northern traditions stress the simple magic of being inside and lighting candles to repel the darkness and remember the year that has passed. The short days are weary enough to envelope even jaded adults, not just the naives of fairy tales. Because it is an interior season, the various holidays that have mashed together into one conglomerate all have the same basic themes. It’s allright, this will pass, time passes, there’s a promise of light and hope at the other end. The great mysteries are all caused by a planet that wobbles just a bit on its axis and throws us all into a deep darkness that is just a bit scary. We need this reassurance ’round midnight as though we need a good story before we go to bed for a bit. We stress our own imaginations and our man-made shelters because the darkness gets us down. Normally, I laugh at modern man’s need to make him or herself look bigger than we really are. Not this time of year. 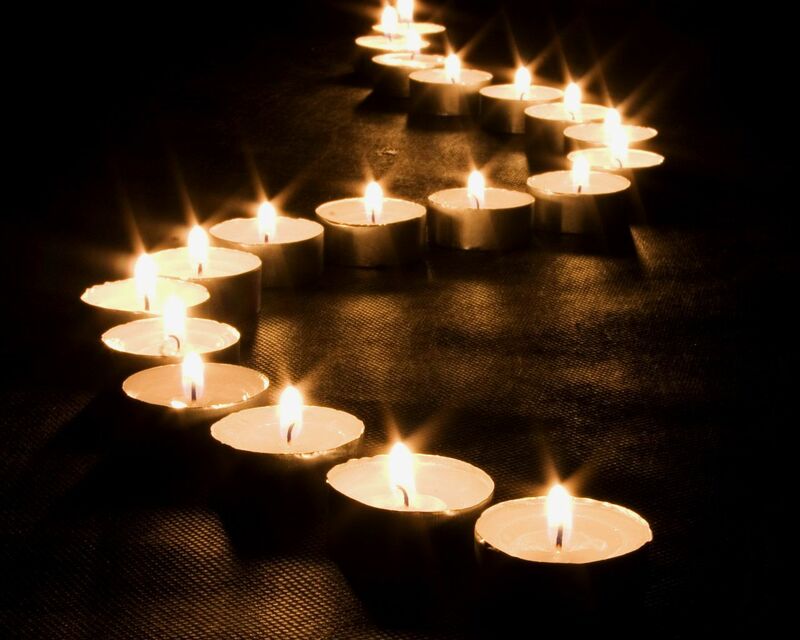 We can’t help but understand how small we are in the face of much more darkness than light, and are refreshed by the idea that one single candle is indeed much more powerful than any curse thrown into the darkness. These traditions don’t come from our usual arrogance. They come from a very real understanding of our limits as tiny little mortals. That can only be a good thing. In my immediate family, we make a big deal of the Solstice, a day apart from the holiday everyone else has. You can join us at the exact moment when Earth wobbles over and points us right out into space, away from the warmth of our sun and into our own imagination. It is a good time to celebrate that life is what we make of it – peace and joy and justice all start with ideas that move with each heartbeat to arms that make them real. We are small and fragile compared to the great forces that sustain us, but that is no excuse for not taking what we have and making the best of it. 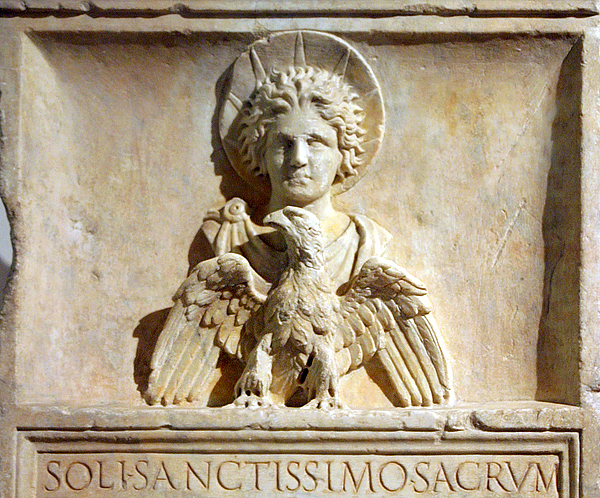 In middle Roman times this was the birthday of the invincible sun, Sol Invictus. This was a strange cult that thrived from about 200 until Emperor Constantine converted to Christianity in 313. While it may be a bit extreme to revive this ancient religion, there is a lot of tradition surrounding the solstice in nearly all parts of the northern hemisphere. It certainly shaped a lot of our celebrations of Christmas. But that’s no matter to the wobble of the planet itself, which has kept on regardless of how we do or don’t observe it. May the spin of our planet measure your life well in the new year as we turn back towards the light, and may the darkness of the season illuminate your heart in ways that inspire you. Peace be with you all this Winter Solstice. This entry was posted in People & Culture and tagged holidays, solstice. Bookmark the permalink. Our traditional Solstice begins at sunset and goes until sunrise. A small fire is kept going all night either using a fireplace or an outside pit. Friends bring food and treats to share. 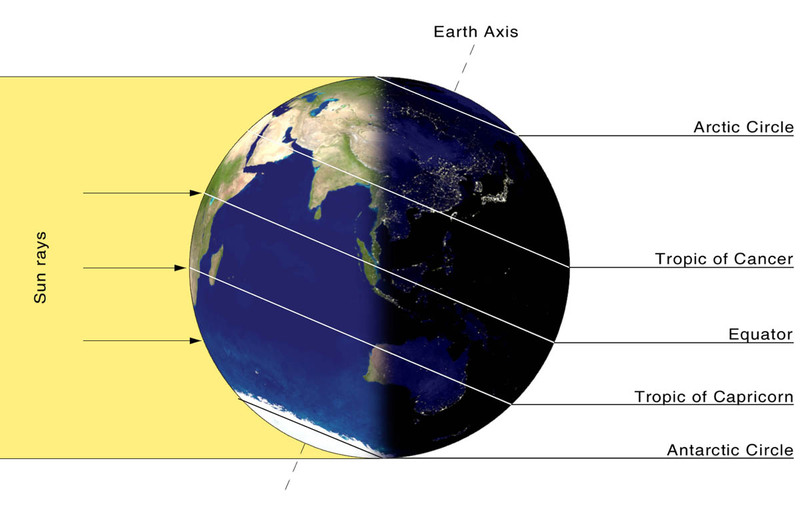 Up in this part of the world the daylight hours are 7 hours and 22 minutes on Solstice. This year, we do not have any snow again, with temps between +4c to +9c instead of -16c (3F). Cheers and a Happy Winter Solstice.